Education specialists wear a lot of different hats and are among the first wave of Zoo staff to interact with guests. 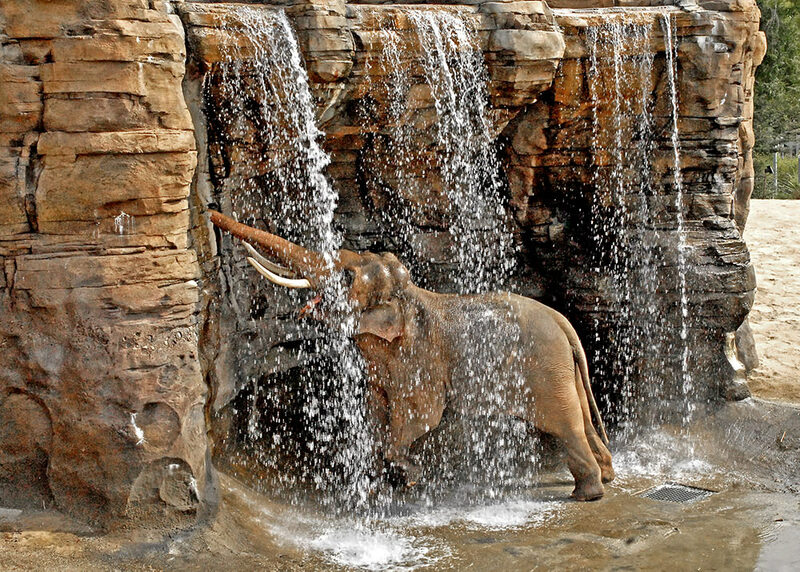 They conduct Zoo Camp sessions and sleepovers in addition to presenting the daily educational programming including the elephant care demonstration, the seal training demonstration, the flamingo experience, animal experiences at Muriel’s Ranch, and the giraffe feedings. 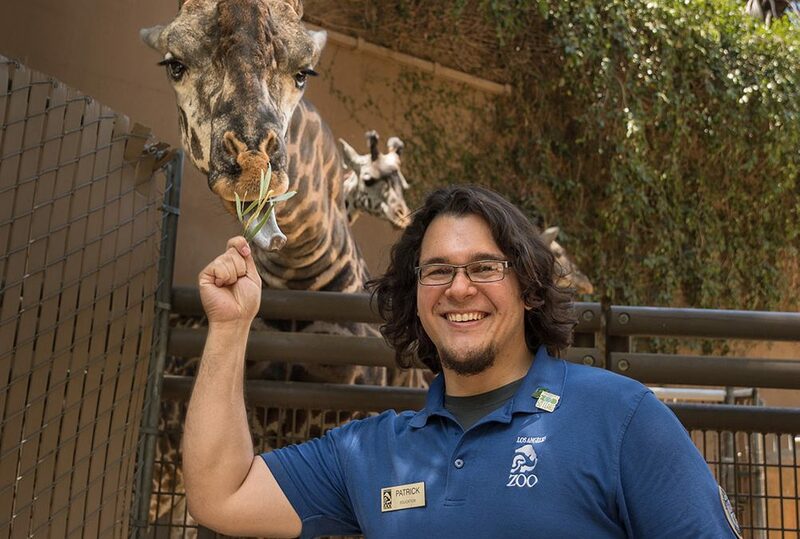 Education Specialist Patrick Wolff has been facilitating giraffe feedings since they started in November 2016 and he enjoys helping people connect with the animals. 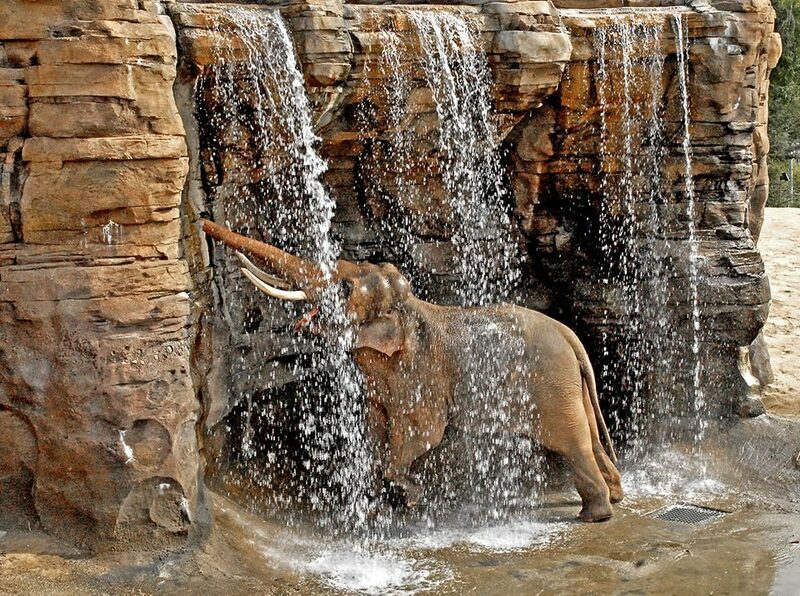 “There’s a big difference between actually interacting with giraffes and watching nature shows about giraffes or even coming to the Zoo every week and watching them from a distance in the exhibit. It's a totally different ballgame,” he observes. “Visitors’ expectations can vary quite a bit, so an important part of our job is to interact with people in line and get them geared up so that they know what to expect when their turn comes. We also help with logistics to make the experience go smoothly. If people want photos, we know all the best angles and that frees them up to just enjoy the experience instead of trying to take a selfie while they're feeding because that takes away from making that connection with the animal.